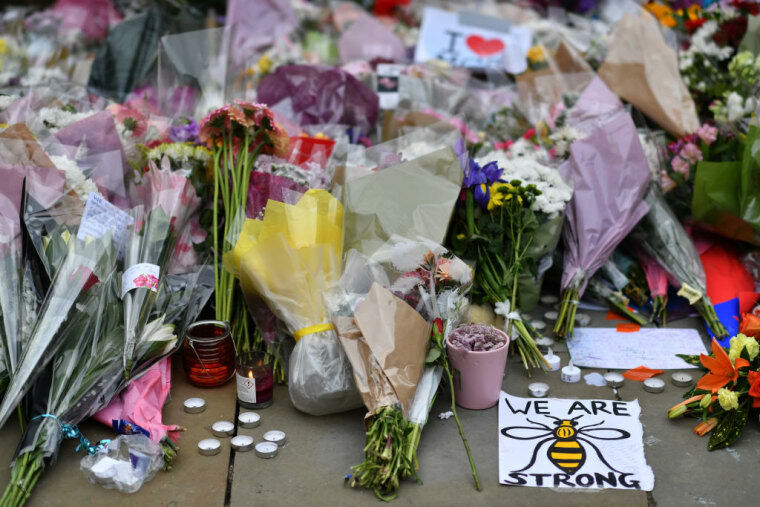 Greater Manchester Police confirm they have identified all of victims of the May 22 attack. Three more people have been arrested by police investigating the attack on an Ariana Grande concert in Manchester, U.K. this week. The blast killed 22 people including the suspected bomber, 22-year-old Salman Ramadan Abedi. 10 victims of the bombing have been named so far, with the youngest being 8-year-old Saffie Rose Roussos. Today, May 24, Greater Manchester police confirmed they had arrested three more people in connection with the attack. This follows the arrest of a 23-year-old in Chorlton, Manchester the previous day. Police are working to establish whether Salman Abedi acted alone, or as part of a wider network. Other victims to have been named so far include Martyn Hett, 29, and 18-year-old Georgina Callander. Friends Alison Howe and Lisa Lees were killed while waiting for their daughters in the foyer of the Manchester Arena. The Polish embassy in London has confirmed that two of its citizens, Angelika and Marcin Klis, suffered the same fate. Police are "confident" that they know the identities of all those who have died in the attack. Twenty people remain in “critical care” across Manchester. In the wake of the attack the U.K.'s terrorist threat level has increased to "critical" for the first time since 2007. On that occasion the level was increased following the July 7 bombings in London which claimed the lives of 52 people. Soldiers will help guard Buckingham Palace, Downing Street, foreign embassies, and the Palace of Westminster The Guardian reports. The Metropolitan police has confirmed that there would be more stop and search and vehicle checkpoints with almost 1,000 British soldiers being deployed on streets from Wednesday.